Happy Thanksgiving from Montana. This year has been very full of things to be Thankful for. I’ve often said that Thanksgiving is my favorite of all the official holidays (even topping International Talk Like a Pirate Day, arrrrg)- I while I won’t be with my tremendously awesome family this year (but I will see them at Christmas), I will be with folks that I care very much about. Austerity is a common word these days, but today I can only think about the bounty in my life. 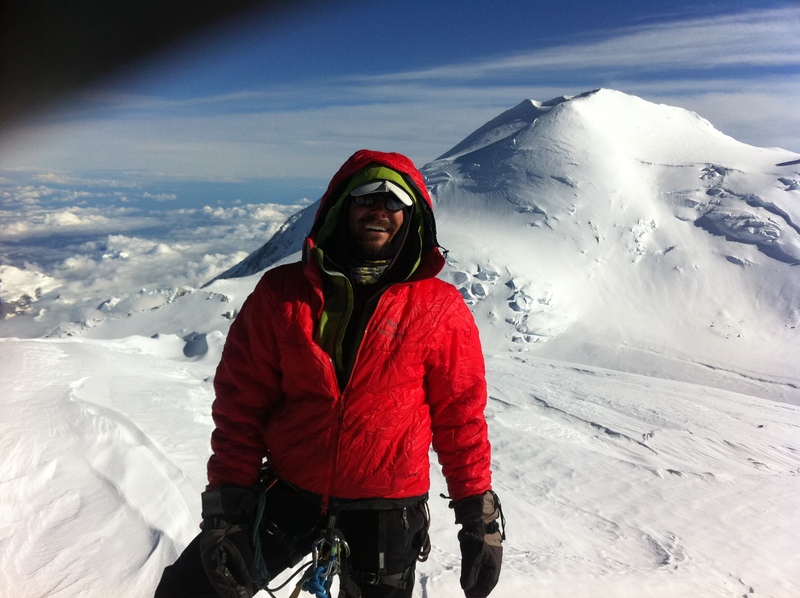 Me, reaping the bounty on the North summit of Denali, July 7, 2011. This entry was posted in Uncategorized on November 24, 2011 by sticker1.